After my worries of Michael (Sonequa Martin-Green) being short-changed in the last episode, all is well with episode six as we see Michael head out to the middle of a Nebula to save her adoptive Vulcan father Sarek (James Frain), who has been injured on the way to peace talks with the Klingons. It offers the chance w for this episode of Discovery to reveal more of Michael’s upbringing amongst the Klingons, as well as offer her the chance to re-address the balance between her natural human instincts and her instilled Vulcan logic. 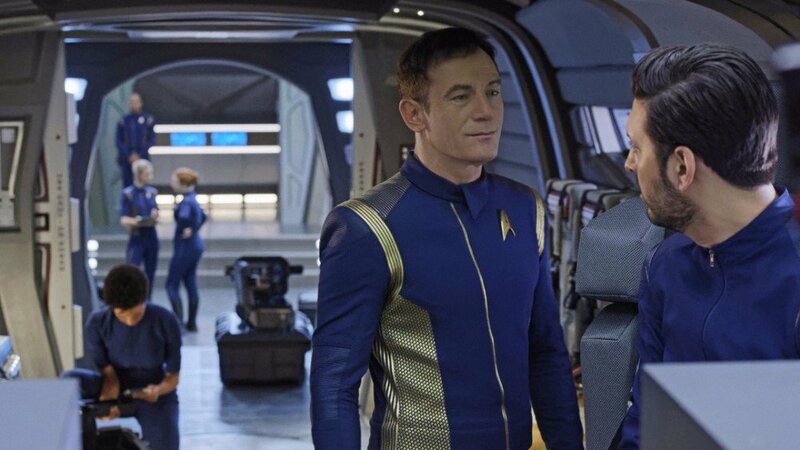 Elsewhere in the episode, Captain Lorca’s (Jason Isaacs) disposition is questioned by the higher command, throwing his future at the helm of the science-vessel-turned-secret-war-weapon into question. Michael’s plotline takes up the crux of the episode, and it’s where most of the intrigue lies. Due to a Vulcan mind-meld that Sarek once shared when she was in grave danger, Michael can sense that Sarek is in mortal danger, leading to her, Tilly (Mary Wiseman) and new crewmate Ash Tyler (Shazad Latif) mounting a rescue mission. We get much more of a sense of how Michael’s own upbringing has forced her to view the world in a rather rigid way, and as a truth of her past is revealed, she is forced to question the means by which she approaches her decisions. It opens her up and sets the stage for her to become a more open character more willing to accept the help of others once again as she becomes a more pivotal member of the Discovery crew. Sonequa-Green is once again fantastic as Michael, her relationships amongst the crew taking more dimensions as her friendship with Tilly grows and her initial reluctance to trust Ash wavers in the face of his noble and brave actions. 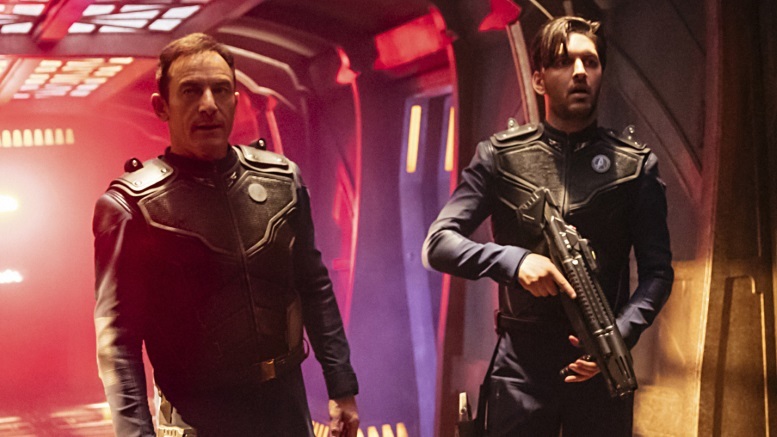 Isaacs handles his plotline with aplomb, with the Captain seemingly taking on the lessons learned across the course of the episode, but one must wonder how long that will last in the face of a war which has no end in sight. As an episode which depends an understanding of the characters both old and new within this iteration of Trek, Lethe is a great success. It enforces certain facets of the different personalities, introduces new ones, getting to the crux of why certain individuals act the way they do, all the while offering surprises and fuel for episodes that remain. Comfortably the best episode so far. And just where can I get one of those ‘Disco’ crew shirts?